This limited edition Islay single malt was laid to rest at the Lagavulin distillery in 1988 and bottled approximately 10 years later in 1998. 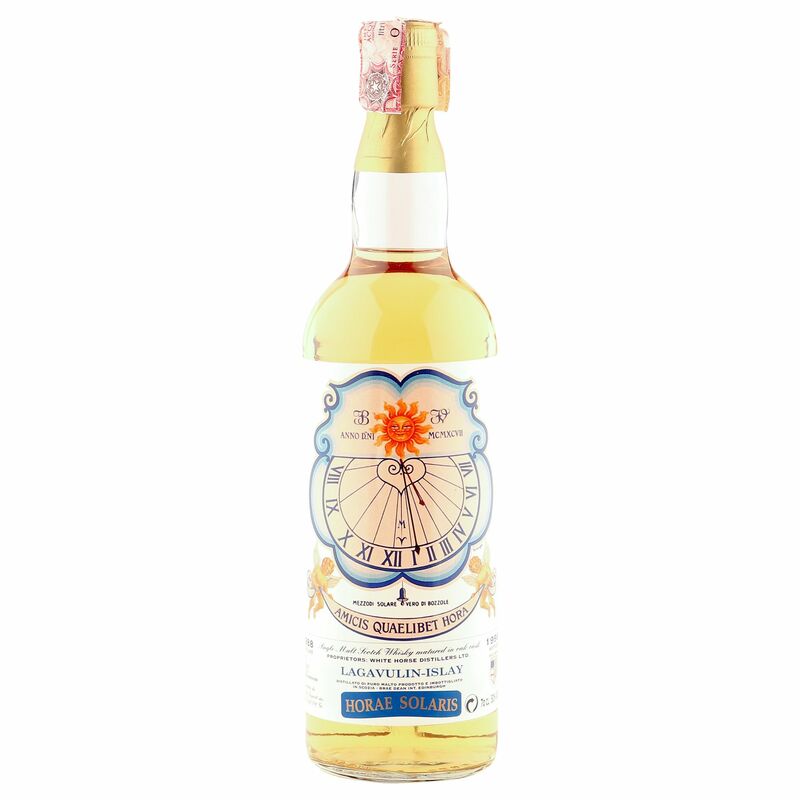 Bottled under the striking 'Horae Solaris' label, this vintage Scotch was imported for the Italian market by Moon Import, one of the original Italian importers whom were established in 1980. Filled from oak cask at 50% ABV, this is one of 1300 bottles that scored a marvellous 92 points with the experts over at WhiskyFun.